In 1996, Champion acquired a 2.5 acre site on Olympic Boulevard, just to the West of the 405 Freeway. 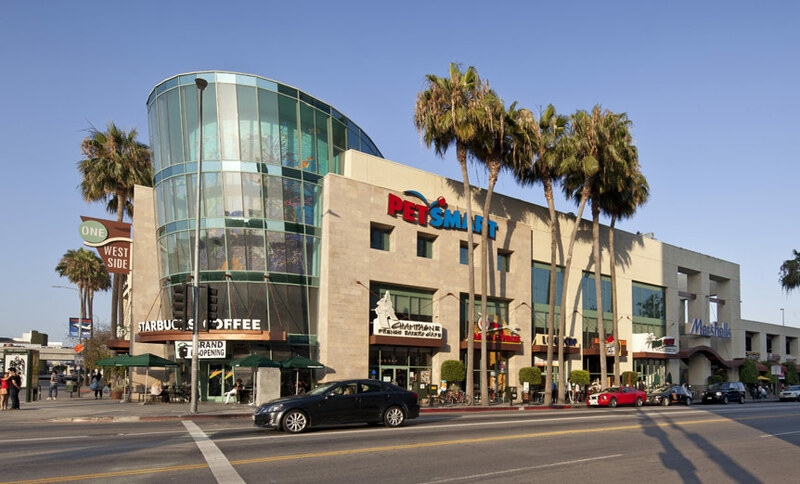 On the site, Champion developed the first vertical retail power center in Southern California with anchor tenants on multiple floors, in-line retail and quick-service restaurants on grade, and a four-level standalone parking structure serving the center. This colorful, lively 92,000 square foot center is distinguished by a 55-foot corner tower, which houses a “neon aquarium,” designed by renowned artists Michael Fletcher and Eva Cockcroft. The center won a Gold Nugget and the ICSC 1998 Award of Merit for most innovative shopping center design in the world. Champion owned, developed and operated the property from the time of acquisition until its ultimate sale in March 2015. During the hold period, Champion refinanced the debt twice and returned all of the investor equity by 1998. Upon its sale in 2015, Champion executed a 1031 exchange which significantly increased the investor cash on cash returns and provided geographic diversification for the investors via stabilized property acquisitions in both Southern California and Nashville, Tennessee.